My nephew is turning 19 this year (wow!) 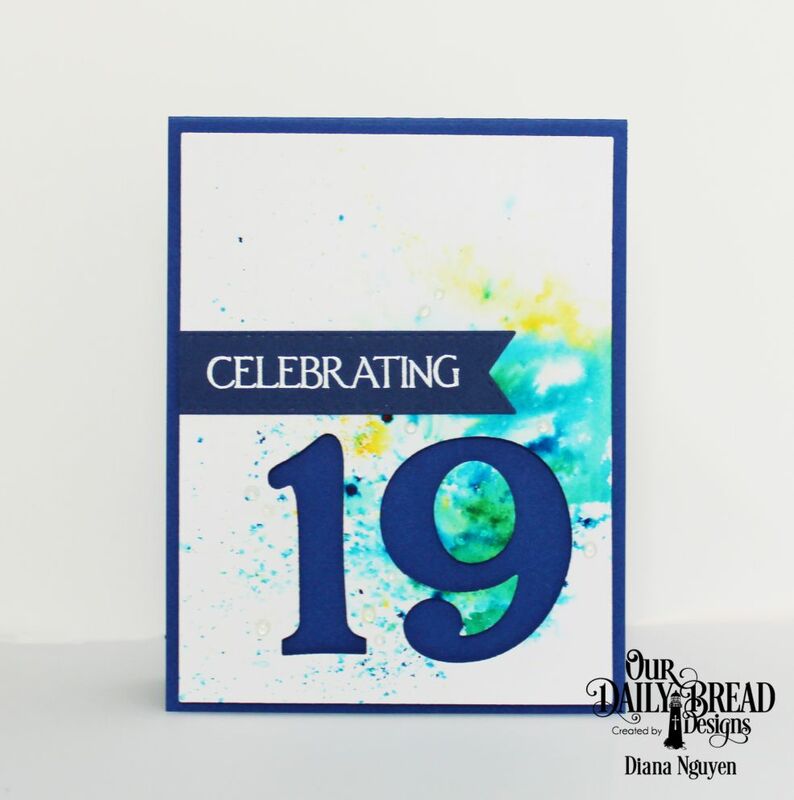 and as you know, masculine cards are hard to make but I came up a fun yet masculine card using coloring bursts and the new stamps and dies from ODBD. I started off with a blue card base and then a white layer above. I used color bursts for a fun organic splash of color. I then die cut the ODBD Large Number dies to personalize it for him. The Celebrating from the new anniversary set Celebration clear stamp set was white embossed on blue card stock and then die cut using ODBD Double Stitched Pennant Flags die. The white layer was then popped up with fun foam so that the numbers would be emphasized. 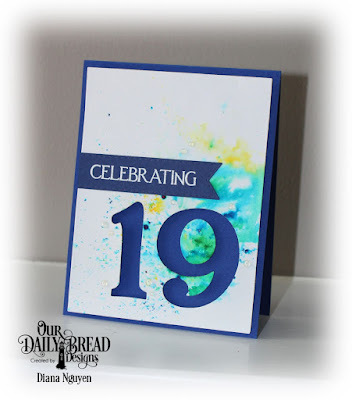 I hope you can play along with this month's challenge at Our Daily Bread Designs Shining the Light Challenge: Anything with ODBD stamps. And if you'd like more inspiration, please check out by my talented Challenge Team sisters Chris, Julie, and Robin. Remember that you have until April 2 to link to the ODBD blog.